Here we come with information about time limited sale which is now available at U.S. Torrid online. Get 30% discount on your purchase when you spend $100 or more. 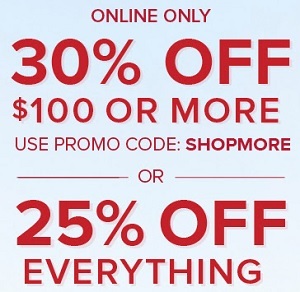 Use the promotion code SHOPMORE at checkout. Or, get 25%discount on almost everything. Source of the information is U.S. Torrid. For more details about the offer visit U.S. Torrid online.